Home » Uncategories » What is the Impact if VMDK of a VM in Old Protected Site is Deleted before Re-protection? What is the Impact if VMDK of a VM in Old Protected Site is Deleted before Re-protection? 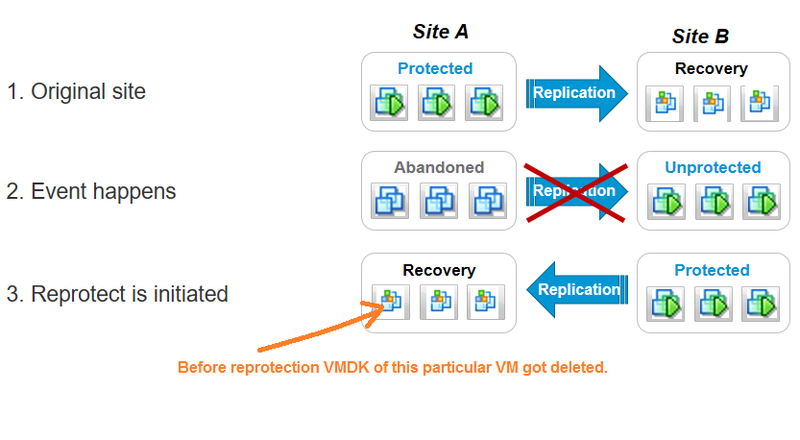 Question: What would be the Impact on re-protection if VMDK of a particular VM got deleted in Old Protected Site (Site A ). Re-protection would work or not? 0 Response to "What is the Impact if VMDK of a VM in Old Protected Site is Deleted before Re-protection?"